Due to the relatively high cost of purchasing a vehicle, it should come as no surprise that more than half of all vehicles sold in Canada – both new and used – are financed. J.D. Power reported that nearly 57 per cent of used-vehicle purchases in the last 12 months were completed with financing rather than paying cash outright. When it comes to new-vehicle purchases, however, the proportion of financed purchases rose above 75 per cent. These figures exclude vehicle leases. In particular, many new car buyers choose to finance their car purchase because automakers often offer highly competitive interest rates – sometimes as low as zero per cent – as well as additional incentives to reduce monthly payments. We’ve featured some of our favourite offers this week on vehicles that can be financed for under $600 per month, including tax. If you don’t find an offer that suits you, be sure to check out the Globe Drive Build and Price Tool to see the latest incentives and discounts on any new car, truck or SUV. The 2019 Kia Sorento LX Premium V6 All Wheel Drive. The Sorento, a seven-passenger SUV and Kia’s bestselling model in Canada, was recently given a facelift. The current model year features exterior and interior enhancements, such as a refreshed fascia, a redesigned centre console with a standard seven-inch infotainment display and advanced active safety features standard on higher trims. All trims except the base trim come standard with an all-wheel drivetrain. When equipped with a 3.3-litre V-6 engine, the 2019 Kia Sorento outputs 290 horsepower and 252 lb.-ft of torque. The LX Premium V6 trim features a six-speaker audio system, Apple CarPlay and Android Auto compatibility, wireless cellphone-charging capability, dual-zone climate control, seven-passenger seating with heated front seats, a heated and leather-wrapped multi-function steering wheel and push-button ignition. 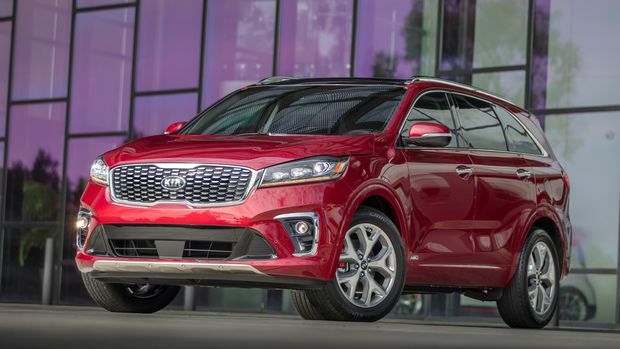 On the exterior, the 2019 Sorento LX Premium V6 is equipped with automatic projector-beam headlights, fog lights, windshield-wiper-deicing capability and a sound-reducing windshield. The 2019 Mazda CX-3 GS All Wheel Drive Automatic. 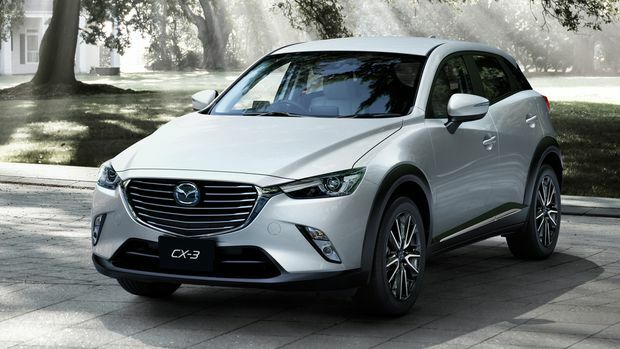 Equipped with a 2.0-litre, four-cylinder SKYACTIV-G engine, the 2019 Mazda CX-3 delivers 148 horsepower and 146 lb.-ft of torque. Notable highlights on the GS trim include a seven-inch touch screen infotainment display with Android Auto and Apple CarPlay functionality, Stitcher and Aha internet radio integration, a heated and leather-wrapped multi-function steering wheel, keyless push-button ignition, an electromechanical parking brake and rain-sensing windshield wipers. Active safety featured on the 2019 Mazda CX-3 include smart city-brake support, advanced blind-spot monitoring and rear cross-traffic control. The 2019 Ford Escape SE 4WD. Depending on the trim, the 2019 Ford Escape is available with one of three four-cylinder engines – a 2.5-litre, a 1.5-litre turbo and a 2.0-litre turbo that output 168, 179 and 245 horses respectively. 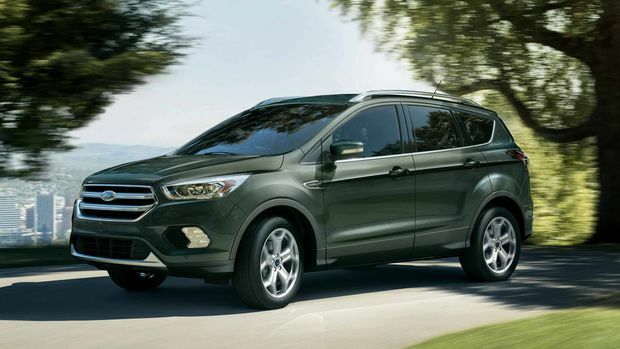 Notable interior highlights on the 2019 Ford Escape SE trim include a SYNC3 infotainment system, WiFi connectivity for up to 10 devices, SiriusXM capability, dual-zone automatic climate control, keyless entry and push-button engine ignition. The SE trim also features safety technology such as an emergency brake assist system, windshield-wiper-deicing capability, an available reverse sensing system, and available rain-sensing wipers. The 2019 Chevrolet Equinox LT 1.5T All Wheel Drive. The 2019 Chevrolet Equinox is available with one of two turbocharged gasoline engine variants – a 1.5-litre engine and a 2.0-litre engine. 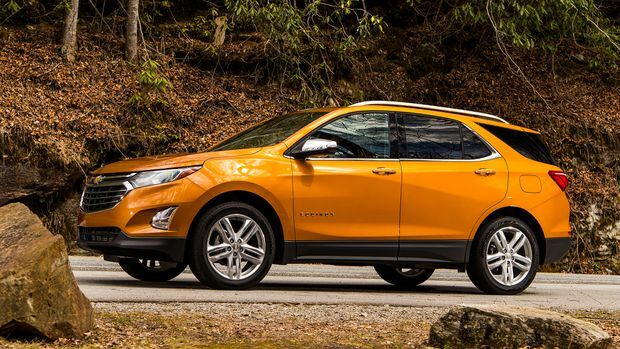 When equipped with the former, the 2019 Chevrolet Equinox is capable of generating up to 170 horsepower and 203 lb.-ft of torque. The LT 1.5T trim features a seven-inch infotainment display; Android Auto and Apple CarPlay compatibility; voice-activated radio and phone controls; active in-cabin-noise-cancellation capability; remote ignition and climate control; fuel-saving technology like engine start-stop functionality and active grille shutters; and automatic HID headlights. All trims also come standard with teen-driver mode, which restricts certain vehicle functions, while also monitoring driving habits to encourage safe behaviour.